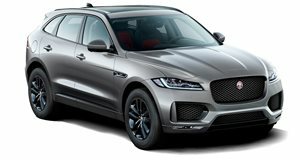 Only days before the doors open for the 2017 Frankfurt Motor Show, Jaguar Land Rover has made a big announcement: Starting in 2020, all new Jaguars and Land Rovers will be electrified. This doesn’t mean they’ll all be pure EVs, but they’ll all have at least some form of electrification, be it plug-in hybrid tech or mild hybrids. And yes, full-on electric vehicles are still very much a part of JLR’s future, as evidenced by its latest concept, the Future-Type. Created as a vision for the year 2040, this fully "autonomous virtual concept" is what Jaguar envisions future transportation to possibly be, where all vehicles could be shared instead of owned. And yes, the Future-Type features Sayer, that intelligent steering wheel that goes with you everywhere. Jaguar just revealed that the other day, and it too offers an intriguing possible glimpse of the future. But the fact that Jaguar Land Rover has officially gone on record about its electrification future is quite something. Engine technology is rapidly changing and JLR fully intends to be one of those leading the pack. But well before 2040, the Jaguar I-Pace will be on the road, arriving next year in fact, and the concept version will also be on display at Frankfurt. 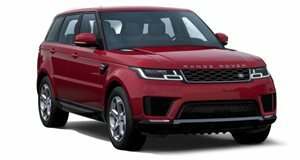 We’ll be chatting with a few JLR executives next week where we’ll learn more specifics about the automaker’s short- and long-term plans. Stay tuned.